I have bought both books recently. Maybe it is a little bit early to write a review since I am through just a few chapters in both, I have been so impressed that I had to write a (not so) short entry at least ! I have been using C++/Java/Python for years, and have been reading as much books on every possible aspect of development with these languages as I could get. In my oppinion Ruby and Rails are absolutely superior to all of these languages (and their web frameworks/related things) in this context – The Pickaxe, AWDwR and R4R cover nearly all the things you will ever need to learn the language and Rails – and not just understand the ‘how’, but also the ‘why’, learn best practices, coding and development methodologies from code style to design issues, related technologies and more. The point is not (only) this, since you can do the same with a few Java books (although not 3, but something like 10), however you will have harder time with Python (There is a Django book on the way, and also the Turbogears guys are publishing one but neither are out yet – but no PickAxe, AFAIK) – however, the point is, based on the experiences i have had with C++/Java/Python books that neither of them are so well written/to the point/effectively explained/well built up than the Ruby ones. 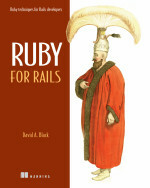 Simply put: The Ruby/Rails books are the best technical books i have ever read on programming and (web) development. I begun to develop the depot application with the first edition about a month ago, and since I was new to both Ruby and Rails, I have thought: WOW! I was about halfway through the depot chapter when i have noticed the announcement about the Second Edition a few days ago. I have purchased the pdf version immediately, and I am quite sure this purchase has to be listed in my ‘Best value for money TOP 10′ list (along with R4R . It was a very refreshing experience to code the depot application from the first edition, but as I got into Rails more and more, I have felt that there are some small gaps here and there. On the mailing list, everybody was talking about migrations (i had no clue that time about them), helpers, AJAX/RJS, REST and other stuff i was not able to find during the depot development, and though the amount of information and level of coolness was overwhelming, I still sensed there is still even more than this. After redoing the depot application with the second edition, all these things (among others) are finally there! You get all the goodies from the very beginning (migrations, writing your own helpers, AJAX etc) so you do not have to search the Web for the newest features anymore.My overall impression was that the small annoying things are gone, the good things are even better, thus the overall experience of reading the book/following the code is even more delightful! I can’t wait for the next chapters! This upgrade definitely rocks! Well done Dave et al. I have gone through just the firs three chapters so far, and though they are supposed to be introductory chapters (entitled How Ruby works, How Rails works and Ruby-informed Rails development) I could not believe how much info I got out of them. I have to say that I am a totally mega-n00b to both Ruby and Rails, but still, I have gone through the PickAxe and half of AWDwR, 1st ed, i am a regular reader of Ruby-talk and the RoR mailing lists, so on the other hand I have some basics, and still these chapters provided me a lot of new insight. The book (or at least the first three chapters) is extremely well written, easy to grasp yet the breadth of knowledge is really impressive. It really shows the design philosophy, logics, inner working of the things rather than just providing some theory with a few examples, or being a ‘yet another Ruby/Rails book’ in any way. If you would like to find out how the things really work, and why they work that way, rather than just be a developer who can do this and that with Rails, definitely check this book out! This entry was posted in Rails, Ruby by peter. Bookmark the permalink. Hello there, fantastic web-site you’ve gotten here, although I merely was going to inform you about as to what might possibly certainly be a browser compatibility matter. I am using Windows Vista 64 bit with Internet explorer, and the formatting is all messed up. It’s just a little bit tough to check out a few regions of your blog, and I’m running my screen resolution at 1024 x 800. I’m certain you did not intend for your web page to seem so peculiar, so is there any way you’ll be able to assist me solve this? translated, and how easily it can be translated.